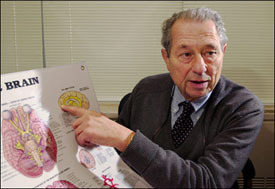 Jerome Kagan is one of the major developmental psychologists of the twentieth century. He has been a pioneer in reintroducing physiology as a determinate of psychological characteristics. The Daniel and Amy Starch Professor of Psychology, Emeritus at Harvard University, Kagan has won numerous awards, including the Hofheimer Prize of the American Psychiatric Association (1963) and the G. Stanley Hall Award as well as the Distinguished Scientific Award of the American Psychological Association (APA). He has served on numerous committees of the National Academy of Sciences, the President’s Science Advisory Committee, the Social Science Research Council, the National Institute of Mental Health, and on the National Research Council. Kagan is also the former director of the Mind/Brain Behavior Interfaculty Initiative at the Harvard University. In an empirical study by Haggbloom, et al, using six criteria such as citations and recognition, Kagan was found to be the 22nd most eminent psychologist of the 20th Century, just above Carl Jung. Kagan was born in Newark, New Jersey in 1929, the son of Joseph and Myrtle (Liebermann) Kagan. 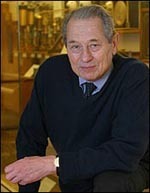 Kagan graduated from Rutgers University in New Jersey in 1950 with a B.S. degree and in 1951 he married Cele Katzman; the couple have one daughter. Kagan earned his PhD from Yale University in 1954 and received an honorary master’s degree from Harvard University in 1964. He also spent one year as an instructor in psychology at Ohio State University. Following two years as a psychologist at the U.S. Army Hospital at West Point, Kagan joined the Fels Research Institute in Yellow Springs, Ohio, as a research associate. In 1959, he became chairman of the Department of Psychology there. Since the late 1920s, scientists at Fels had been studying middle-class children from infancy through adolescence in order to better understand human development. At that time, most psychologists believed that personal characteristics were determined by environmental factors rather than by inheritance. Kagan’s early research at Fels focused on the degree to which individual personality traits carried through from infancy and childhood to adolescence and beyond. On re-examining some of the Fels subjects as adults, Kagan and Howard Moss did not find strong support for the maintenance of behavioral characteristics such as aggression, dominance, competitiveness, and dependence. However, they found that a small group who had been very fearful as toddlers had retained aspects of this “behavioral inhibition” as adults. In 1962, Kagan and Moss published their landmark book Birth to Maturity. Professor Kagan’s highly-respected and groundbreaking research on the cognitive and emotional development of a child during the first decade of life focuses on the origins of temperament. He has tracked the development of inhibited and uninhibited children from infancy to adolescence. Kagan’s research indicates that shyness and other temperamental differences in adults and children have both environmental and genetic influences. A shy adult is more likely to have been high-reactive (fearful) in infancy and childhood than their bold and sociable counterparts, who were most likely low-reactive. * The FABBS Foundation would like to thank Dr. Susan Fiske, Dr. Fred Morrison, and Dr. Nora Newcombe for nominating Dr. Kagan for this honor and for leading the effort to spread the word about his nomination. 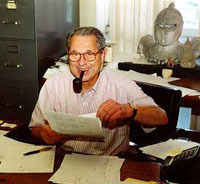 Would you like to honor Dr. Kagan? It’s not too late to have your name added to the list of donors! You can make your donation to Dr. Kagan’s In Honor Of… campaign at anytime.